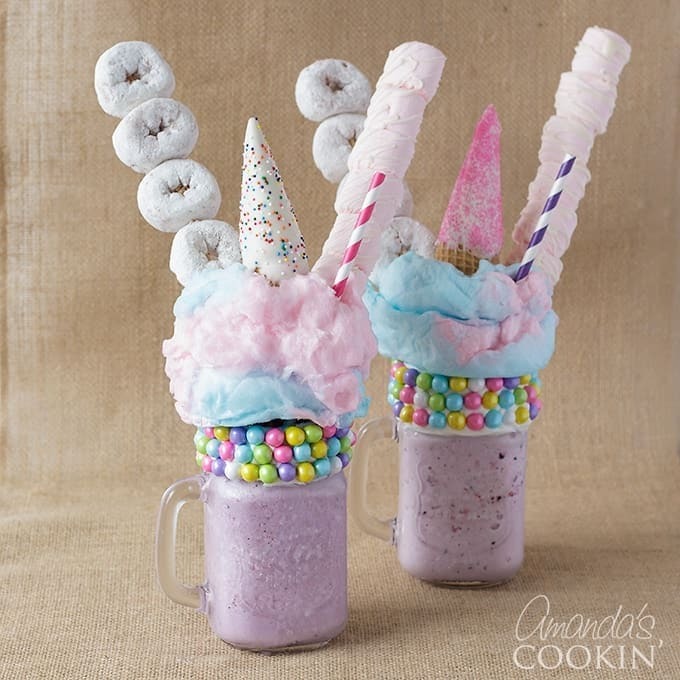 Unicorn Freakshakes: rainbows, cotton candy, it's a unicorn shake! 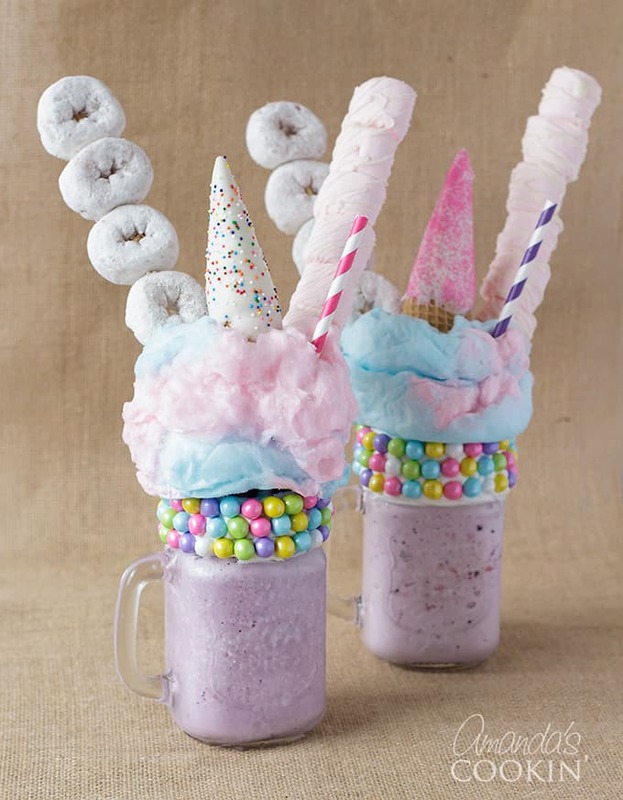 These unicorn freakshakes will have you dreaming of fairytale lands where clouds are made of cotton candy and the skies are painted by rainbows. But let’s be real for a minute. With all the hype of unicorns set aside, these milkshakes are regular ole strawberry shakes with a pinch of frozen blueberries, which creates that beautiful purple unicorn-esque color. Did I mention they’re freakshakes (extreme milkshakes)? Those, my friends, are a whole other ballgame in themselves. You can certainly say these freakshakes are Black Tap-inspired shakes. Black Tap of NYC swooned the internet (especially me) with their outrageously designed milkshakes. And until one magical day where I am able to get to NYC and treat myself to one of their absolutely insane milkshakes, I’ll have to make do and create my own! Just like these Cookie Monster Freakshakes I did not too long ago. If you haven’t seen the unicorn craze that’s sweeping the internet with glitter and rainbow treats galore, well… you’re missin’ out. But good news either way, if you like all things pretty and delicious, these Unicorn Freakshakes are the perfect drink for you. 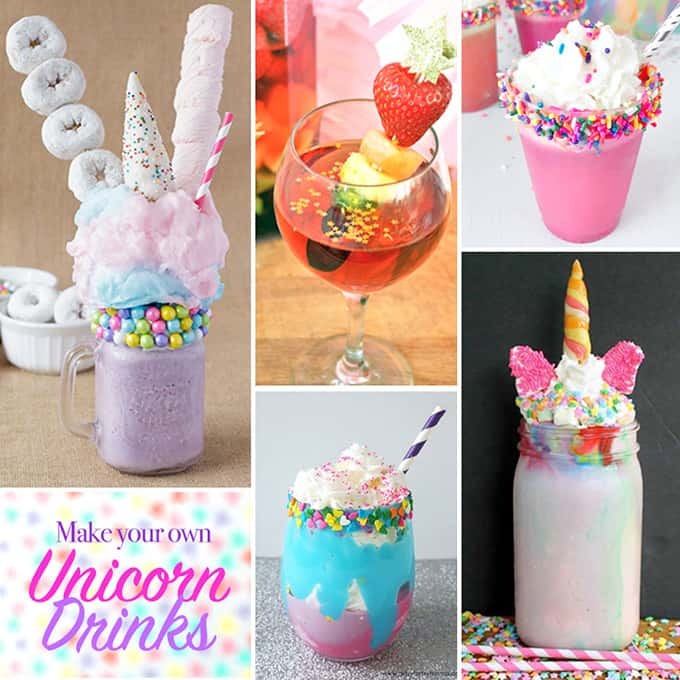 Whether you’re hosting a unicorn-themed birthday party or making these freakshakes for the heck of it, they’re sure to be the star of the show & are surprisingly easy to make! 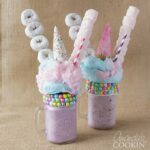 You don’t need any fancy kitchen gadgets or even any specific skills to create these unicorn freakshakes (BONUS!). Be wary that these shakes are indeed loaded with sugar, please remember it’s always an option to not include the additional toppings. If you want to treat yourself, by all means, treat yourself! If it’s too much sugar for you, take out the cotton candy, mini donuts, candy pearls, and marshmallows and you have yourself a tasty strawberry-blueberry milkshake, OR, you can always cut the recipe in half and share with a friend! 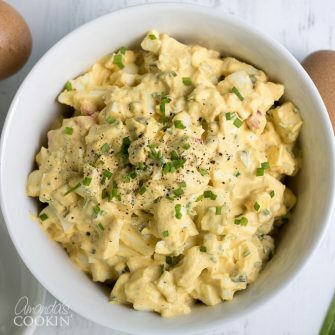 This recipe is all about fun and enjoying the sweets in life, even if it’s only once in a blue moon! 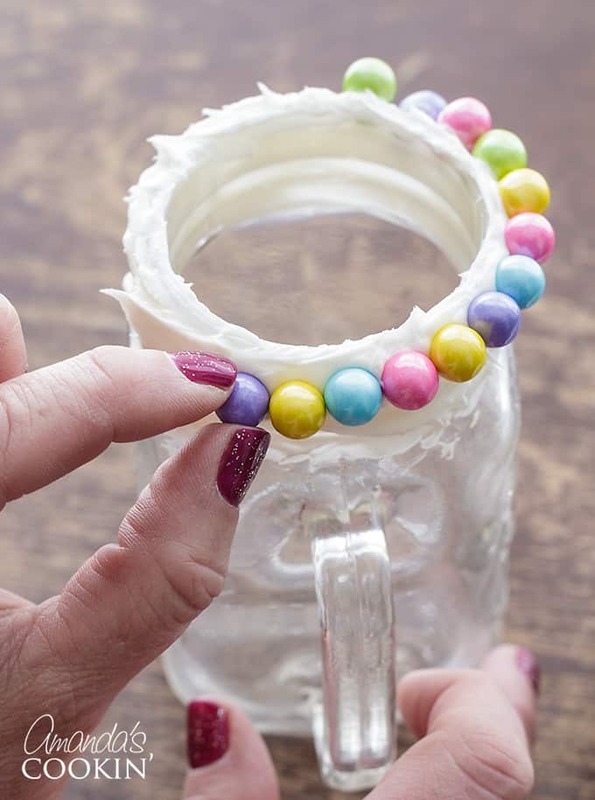 First, apply a generous coat of vanilla frosting over the outer and upper rim of your glass. Stick on your chocolate sixlet candy pearls using the frosting as the base. Once you’ve filled the rims with candies, pop in the freezer to set while you prep everything else. Next, we will be making the unicorn horns. Take your white chocolate candy melts and melt in a deep glass (we used a stemless wine glass). 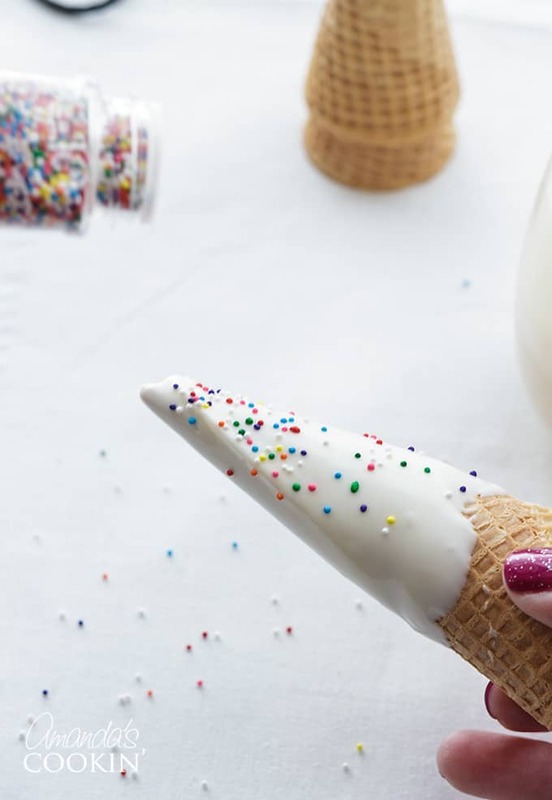 Fill with enough melted chocolate so you’re able to stick your sugar cone and swirl it around. Add sprinkles of your choice while the chocolate is still wet. Wha-la! Now you have beautiful unicorn horns. Get creative and decorate as you please! 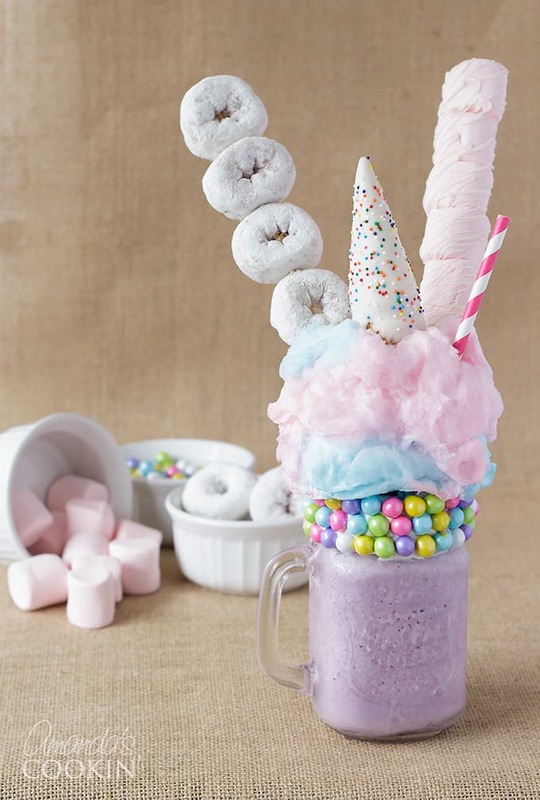 After creating your unicorn horns, and adding the donuts and marshmallows to the skewers you’re ready to make the milkshake! 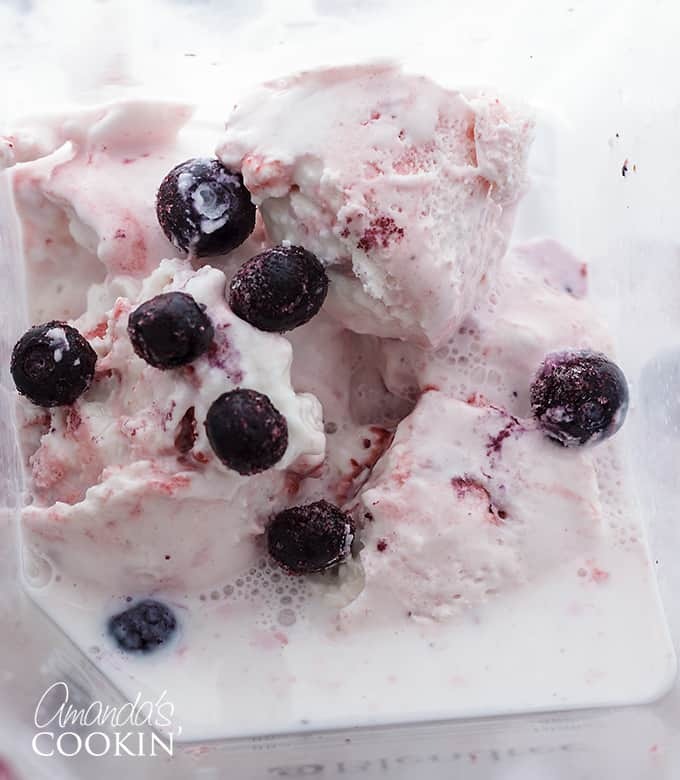 Simply add 1/2 cup milk to the blender along with approximately 16 frozen blueberries and 10 scoops of strawberry ice cream. The blueberries will tint the strawberry ice cream making it a pretty purple! If you need more milk, add another 1/2 cup milk to the blender until it’s smooth and creamy. This will make two milkshakes. 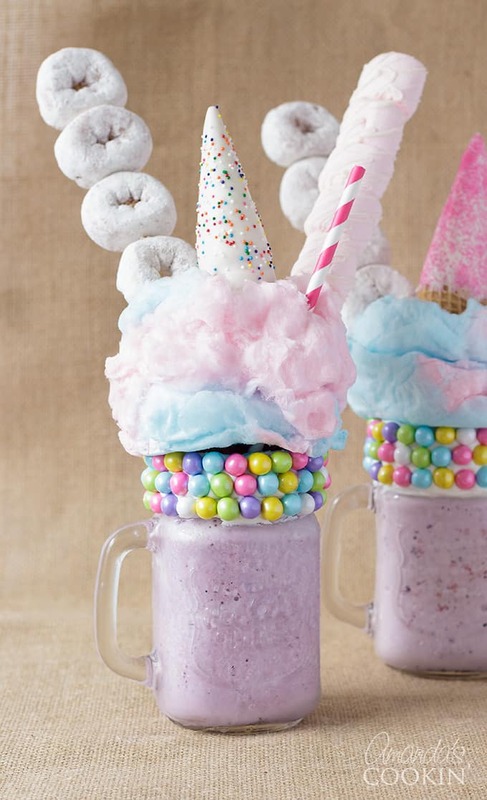 I hope you love these Unicorn Freakshakes! They were fun to make and a pleasure to eat ;) Pop on by our Ice Cream and Frozen Treats section to find more delicious shakes and ice cream recipes! For more unicorn inspiration check out our Rainbow Grilled Cheese or our Rainbow Pancakes! Unicorn Freakshakes!! Freak shakes are all the rage right now and so are unicorns, so we decided to combine the two into one over the top unicorn treat. Grab a rubber spatula or butter knife and spread the frosting along the upper rim of your serving glass. Create a generous coat of frosting, this will be the base you use to stick your chocolate candy pearls to. Don't forget to frost the top of the rim as well so your cotton candy can stick to it. Now, press your multi-colored chocolate candy pearls on one by one onto the frosting. Take your glasses after they've been sufficiently coated with candy pearls and place them in the freezer to set. 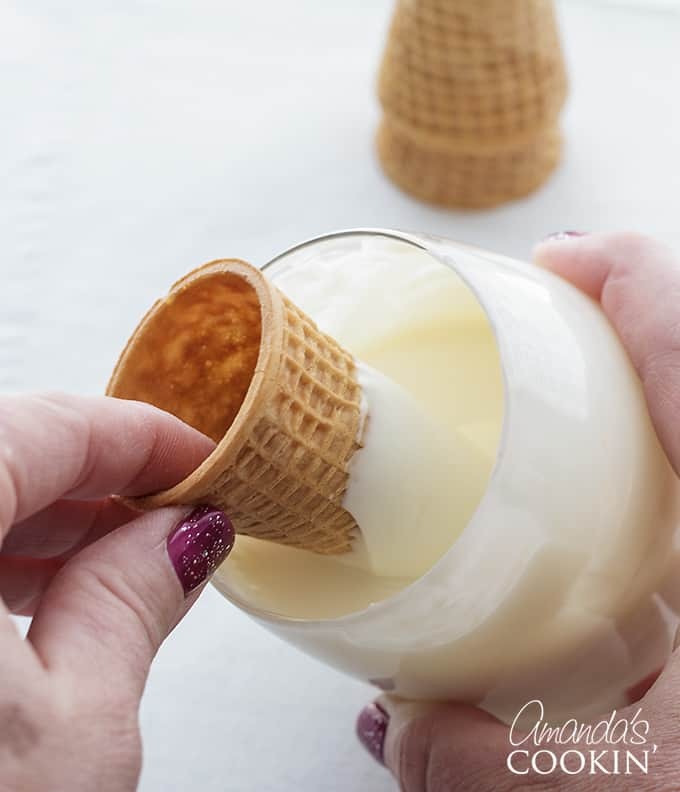 Take white chocolate candy melts and melt them in a cup, make sure you add enough chocolate to the cup so you're able to dip the cone into it. 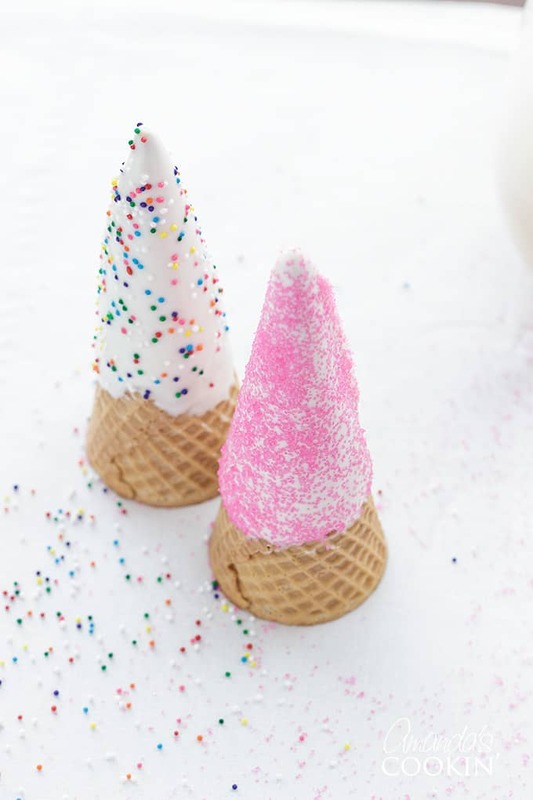 Grab a good amount of cotton candy and in the center create a small hole in which you can place your sugar cone in to. Set aside. Add 2 cup milk, 10 scoops strawberry ice cream, and 2 tablespoons frozen blueberries to blender. If your blender is not large enough, divide in half and make two different batches. This is what we did. Blend until smooth and creamy. Grab your glasses from the freezer and equally divide the shake into each glass. Now, take your cotton candy and place on top of the rim. Add your sugar cone into the hole you created in the middle of the cotton candy and make sure it's fairly sturdy. Grab your donut skewer and marshmallow skewer and insert them close to the middle/back of the cotton candy and all the way down into the milkshake. Your unicorn freakshake is now complete! I LOVE everything about this milkshake! I think when faced with it I wouldn’t know where to start, but it’s just so pretty and yummy looking I want one right now for breakfast! On second thought I would start with a donut, definitely the donuts.